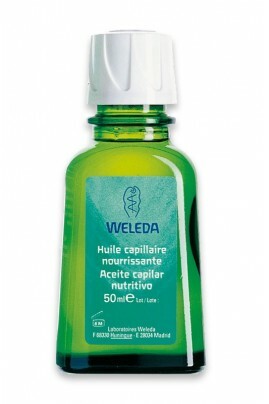 Enriched with extracts of burdock root and leaves of red clover, Weleda Hair Oil nourishes dry hair, brittle or damaged. Sheathing the hair shaft, it creates a protective envelope which renders the hair suppleness and shine. 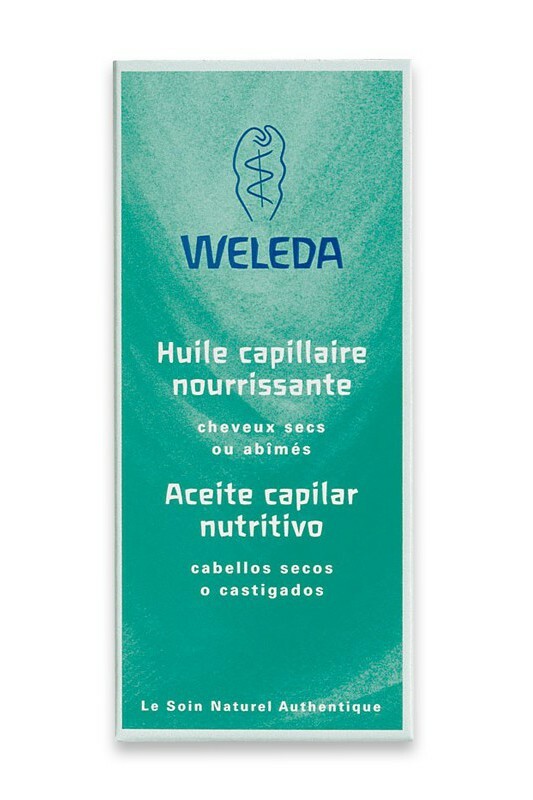 With Nourishing Hair Oil Weleda, your hair regains suppleness and softness. 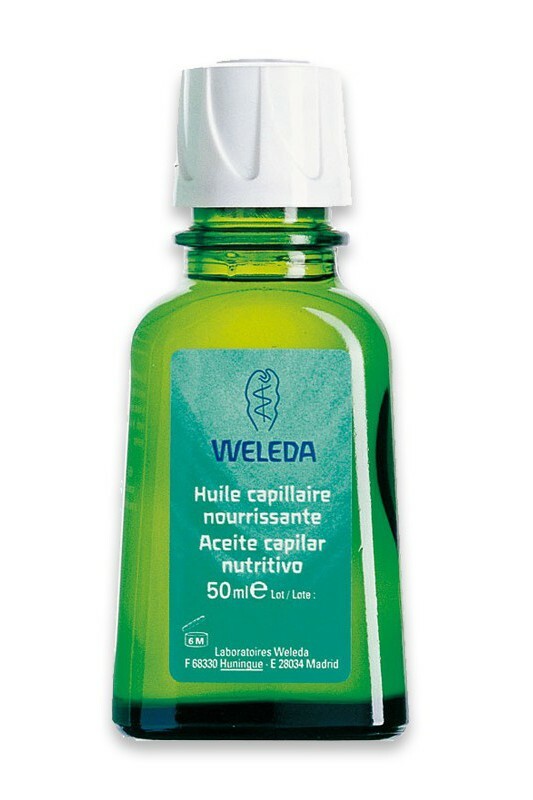 The Nourishing Hair Oil Weleda applies on dry hair. In case of oily roots, apply the product only on the lengths and ends. If roots and dry hair, gently massage the scalp with a small amount of oil, and spread it on the whole hair with a fine comb from roots to ends. Leave on for at least 20 minutes prior to shampooing. You can also apply the product overnight, covering the head with a towel or shower cap, before washing your hair. peanut oil, clover flower extract, burdock root extract, Lavender essential oil. Arachis Hypogaea (Peanut) Oil, Trifolium pratense (Clover) Flower Extract, Fragrance (Parfum) *, Arctium Lappa Root Extract, Limonene *, Linalool *, Geraniol *, Coumarin *.